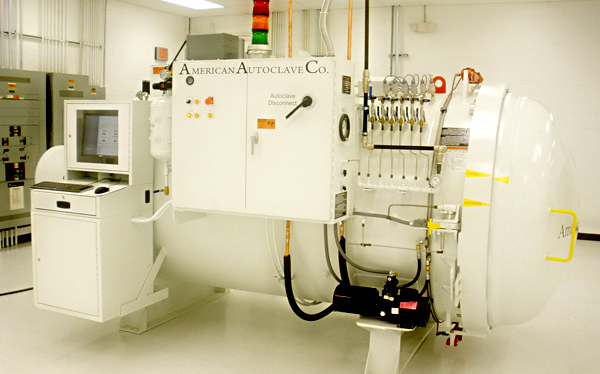 Since 1968 American Autoclave Company has been a leading supplier of technologically advanced autoclaves for composite systems and other products. Our goal at American Autoclave Company is to deliver the best possible equipment to facilitate in our customers' success. Towards this end, we have designed, manufactured, and installed some of the most advanced autoclaves in the world for sectors including industrial, educational, and research facilities. Adhering to industry standards and certifications, our design methodology draws from our company philosophy of listening to our customers, understanding the project, and applying our expertise to fulfill our customer's requirements. We would like to thank you for taking the time to visit our website and considering us for your current and future projects. Please take a look at our site to learn more about all we have to offer. Additionally, we welcome you to explore our online quotation form and familiarize yourself with some of the questions related to providing you with a clear proposal that fits your needs. Contact us at any time with any questions you may have. A consultant will follow up and answer any remaining questions you might have in making informed decisions toward your project. In addition, we provide factory direct worldwide service covering a wide variety of industries including aerospace, automotive, and marine, also specializing in retrofits to existing units to meet your changing needs.